Springfield Winter Farmers Market: Built Off Public Sentiment. A very famous Springfield, Illinois citizen from many a years back had it right with his belief that, “public sentiment is everything. With public sentiment, nothing can fail; without it, nothing can succeed.” The current day Springfield community is a testament to Lincoln’s quote, serving as the basis for the brand new Springfield Winter Farmers Market. An extension to the Old Capitol Farmers Market, established in 1993 and this summer celebrating its 24th season, the Springfield winters market bloomed from farmer requests. The market’s grassroots foundation of community based organizing spanned a few years, and after much attention to detail, the market became a reality. Help us celebrate and welcome to the farmers market folds Springfield winter farmers market! They will be sharing with you through us via our Instagram account. Farmers Market Coalition: Tell us about Springfield winter farmers market and the partnerships and community elements that made it possible. Molly Gleason: This is a brand-new market! 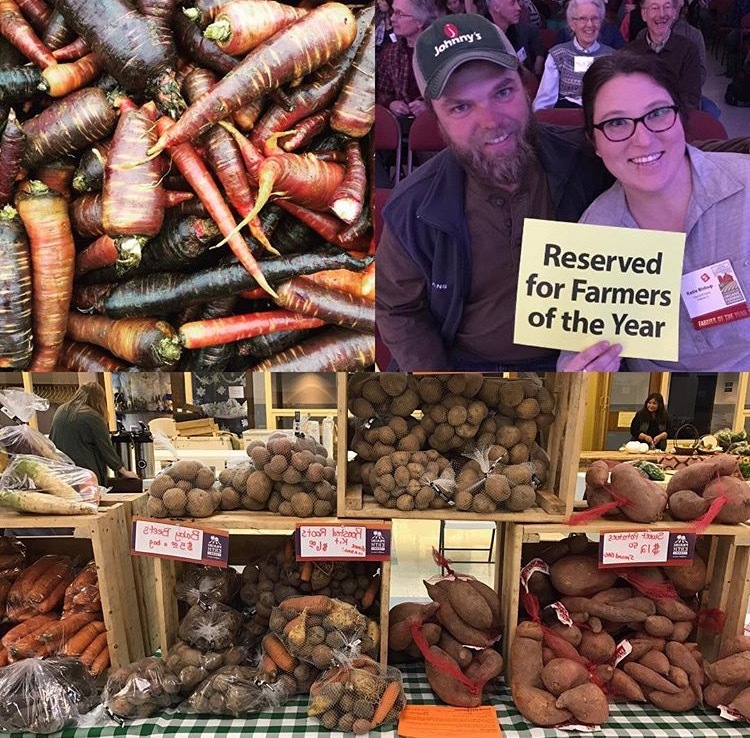 We have had farmers requesting a winter farmers market for several years so that they would have an opportunity to sell their product direct to customers year-round. Due to limited staff, we weren’t able to do it in the past so we are really excited to finally be able to kick this off. Additionally, we have great partners who are working together to organize it. We have a non-profit (Illinois Stewardship Alliance) managing the market, higher ed (Lincoln Land Community College) spearheading the organizing, a church hosting (Third Presbyterian), and financial support from a local hospital among others (HSHS St. John’s). FMC: How did you form the wonderful market partnerships that you have? MG: Our core planning team from ISA and LLCC reached out to program partners from various past projects to form the 13 member market steering committee. Through these relationships we secured new partners. In addition, our host partner connected us to additional partnerships and funding for the market. Delivering successful programs and years of working together made it easy for partners to join the cause. Selecting a market location in a low income neighborhood with an extensive, established support system helped create a powerful team of old and new partners ready for fresh food in the winter. Farmers Market Coalition: Describe the winter market. MG: The Springfield winter farmers market will take place on the 4th Saturday of each month, January – April from 9am- 1pm. The market is held indoors at the Third Presbyterian Church in Springfield. Market goers can expect to see 10-12 vendors each market selling a variety of goods including pasture-raised pork and chicken, grass-fed beef, free-range eggs, kale, carrots, turnips, potatoes, winter squash, and even tomatoes from one of our hydroponic vendors. Breads, baked goods, and jams will also be available. Market goers also have the pleasure of purchasing hot breakfast and lunch items, including crepes and soup prepared by local chefs and made with seasonal, locally-grown ingredients. MG: While there is limited space and capacity for educational programming at our winter market, we will be accepting SNAP and WIC and offering a double value match for SNAP and WIC recipients to use on fresh fruits and vegetables. The Winter Market also leads up to the start of our outdoor market, the Old Capitol Farmers Market, in May, in which we provide a variety of educational programs, chef demos, tastings, live music, and kids activities throughout the season in addition to the double value SNAP/WIC program. MG: We are Facebook junkies and find that Facebook advertising works wonders for our farmers market. Our target audience seems to use Facebook frequently, so this has been the most effective marketing method for us. Additionally, all of the partners include information about the Market in their e-newsletters, which has helped us extend our reach even further. We also print flyers and hang them around town, as well as post cards with the market information and we distribute these to our partners and use them ourselves to pass out at conferences and events. Lastly, we also ask our market vendors to help advertise through their own social media. The best advice for new markets is to use a multi-faceted strategy- don’t just stick with one medium. And find strong partners and sponsor who you can rely on to help spread the word. This type of grass-roots advertising is cheap and effective! FMC: How did the first market day go? MG: The first market went better than we could have hoped. Our farmers reported selling between 75-100% of their products and all gave positive feedback about the market. We estimated 600 attendees. At our data collection booth, we were excited to learn that customers were travelling from all around Springfield, not coming from only the neighborhoods surrounding the market. I think there was definitely a need for access to fresh local produce during the winter in Springfield and this market is filling that void. MG: The winter market has been a dream of ours for years! Not only does this market give small farmers a venue for selling their products year-round (which increases their economic viability during the winter months), but it provides the residents of Springfield easy access to fresh, local products throughout the year. 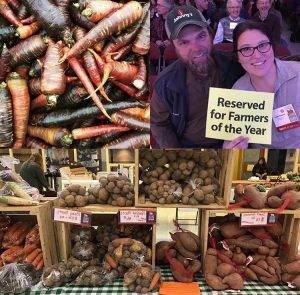 We hope the winter market will serve to support small farmers, build the local economy, increase the health and wellness of the community, and provide a place where people can come together once a month to celebrate good food and good friends. FMC: What are some of your markets’ challenges and successes? MG: This market is brand-spanking new, so we haven’t faced any challenges yet other than getting it off the ground! Finding a central, indoor location, that would let us use their space rent-free to set up a market once a month was the biggest challenge. Once that fell into place, all of the other pieces kind of came together. I suppose the other biggest challenge was deciding which vendors could attend. Because we only have space for 10-12 vendors, we unfortunately couldn’t accept everyone who applied. The market committee created a clear list of priorities, including sustainable growing practices, variety of products, use of locally-grown ingredients, and prior history with our Old Capitol Farmer Market that helped us make the final decisions. We’ll let you know about the successes after this season! FMC: I know the market only has two market days under its belt, but what do you think worked to make Springfield’s winter market a reality, and what advice or tips do you have for markets looking to expand their season? MG: Do the research to see if there is interest from both vendors and customers. I think what worked for us was starting small. This season we are located inside Third Presbyterian Church in space donated by the church. We only have ten vendors, but we curated them so that we could provide customers with the most variety as possible. If all goes well this season we will know the market is sustainable and can be expanded next year. We also did a ton of advertising and social media marketing to get everyone excited about fresh produce in January!